A number of Law Day in the Schools volunteers gathered in the Adam’s room at the BBA on Wednesday, April 24th to learn more about the program curriculum and to gain helpful tips during the training. Thirty-nine BBA volunteers are already scheduled to teach Boston Public High School students in seven schools about gender equality in the workplace. Dara Kesselheim (Suffolk County District Attorney’s Office) discussed ways to engage elementary school students during the activity to help them learn about equality. Matt Welnicki (Melick & Porter LLP), Dara Kesselheim( Suffolk County District Attorney’s Office), and Emily Hodge (Choate Hall & Stewart LLP) led the Law Day in the Schools Training at the BBA on Wednesday. To learn more about how to get involved in the program, please contact Katie D’Angelo, Public Service Programs Coordinator, at [email protected]. The Boston Debate League named BBA Volunteer Tarae Howell (Nixon Peabody) a Volunteer of the Year at its annual award ceremony. BDL recognized Howell for his commitment to the program and students as a judge at local debate tournaments throughout the year. Tarae Howell received a Volunteer of the Year Award at the Boston Debate League award Ceremony. 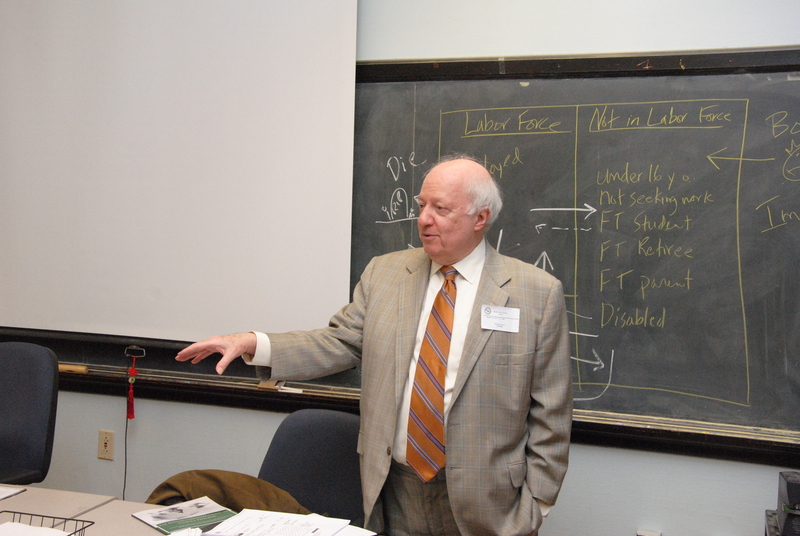 Howell is one of the 42 BBA volunteers who served as a judge or mentor and helped students develop valuable skills such as critical thinking, persuasive writing, and effective communication through competitive debate. For more information on the Boston Debate League, please contact Katie D’Angelo, Public Service Programs Coordinator, at [email protected]. Are you looking for a fun, one-time volunteer opportunity on the weekend? Sign up for one of the BBA’s upcoming community service outings. 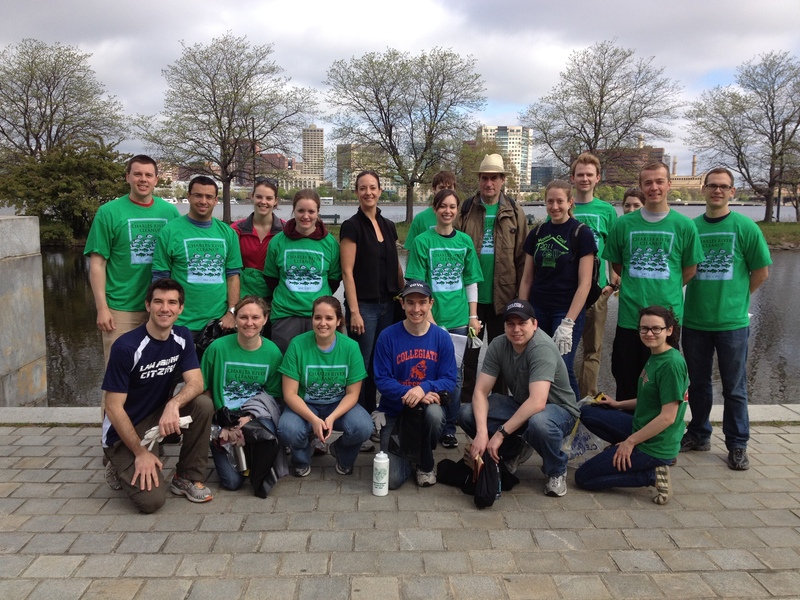 Volunteer Christina Miller (Suffolk County District Attorney’s Office) joined other BBA volunteers for last year’s Charles River Clean Up. (1) Join the New Lawyers Section and the Environmental Law Section for the annual Charles River Clean Up this Saturday, April 20th from 9 am-12 pm. Last year, an estimated 15-20 tons of rubbish was collected from along the river and its surrounding area. Click here to register. (2) Do you want to help alleviate hunger in Boston? Volunteer at the Greater Boston Food Bank on May 11th from 9:30 am-12 pm. Volunteers will work together as a team to inspect, sort and pack food and grocery products. Click here for more information. Volunteers from the 2012 Charles River Clean Up helped remove rubbish and debris located in the river and on its banks. (3) Clean up the Gladeside Urban Wild, one of the largest undeveloped areas in Mattapan, on Saturday, May 4th from 9 am-12 pm. Attendees will help to maintain this open space by removing invasive plant species and preparing the land for future plantings. Please email Jenny Rushlow at [email protected] for additional information. (4) Get your hands dirty on Saturday, June 1st from 9:15 am-12:30 pm at the Food Project. Plant, harvest, and tend fresh vegetables for support hunger relief organization and local distribution. Click here to register. For more information about these opportunities, please contact Katie D’Angelo, Public Service Programs Coordinator, at [email protected]. BBA Trust & Estates Public Service Committee, Job Well Done! The BBA Trust & Estates Public Service Committee led by Cameron Casey (Ropes & Gray) and Peter Shapland (Day Pitney) made a significant impact by helping to create and run the Massachusetts Uniform Probate Code (MUPC) resource desk. Working with the Massachusetts Bar Association and the Probate and Family Court, the MUPC resource desk helped more than 150 people. 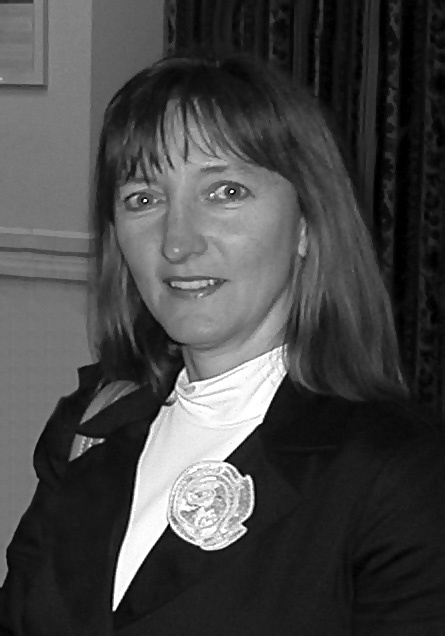 Co-chair Kerry Spindler (Goulston & Storrs) will continue to work on follow up efforts to facilitate the transition to the MUPC and alleviate the burden on the courts. Click here to check out an article about this successful public service program. Every Wednesday and Thursday, volunteer lawyers offer legal advice to landlords and tenants at a busy table through the Lawyer for the Day at the Boston Housing Court Program. The BBA has teamed up with the Volunteer Lawyers Project (whose longstanding relationship with the BBA goes back to 1977, to provide assistance to more than 14,732 landlords and tenants in the program’s history). For more about the recent volunteers for the program, please click here. 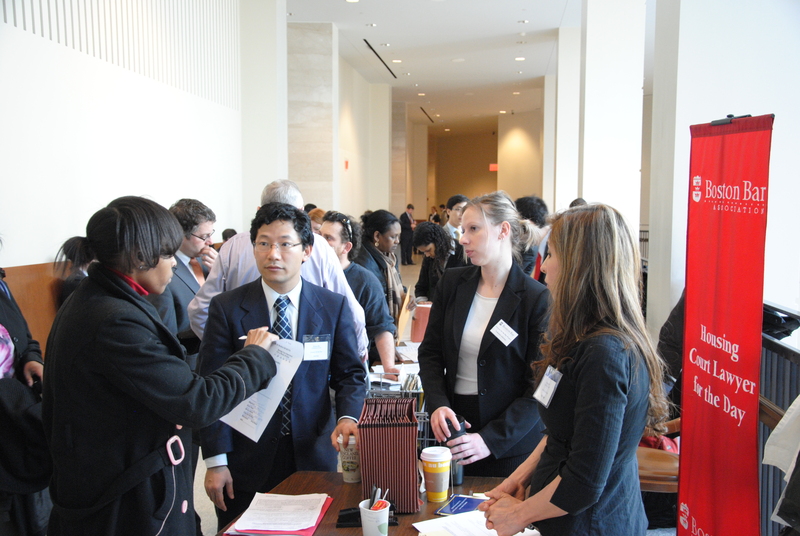 Yugo Nakai (Volunteer Lawyers Project), Heather Ward (Law Office of Heather M. Ward), and Isabel Burney (Volunteer Lawyers Project) provide legal advice to tenants and landlords at the Boston Housing Court. The Boston Housing Court is crowded on Wednesdays and Thursdays when landlords and tenants can receive legal advice and full representation from volunteer lawyers. 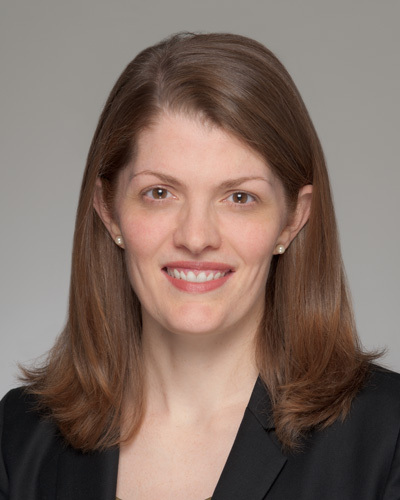 For more information on the Lawyer for the Day in the Boston Housing Court Program, please contact Katie D’Angelo, Public Service Programs Coordinator, at [email protected]. This program is supported by the Boston Bar Foundation’s Herbert W. Vaughan Fund, which is dedicated to supporting real estate-related pro bono, public service, and civic programs of the Boston Bar Association. Are you interested in teaching Boston public school students about equality? 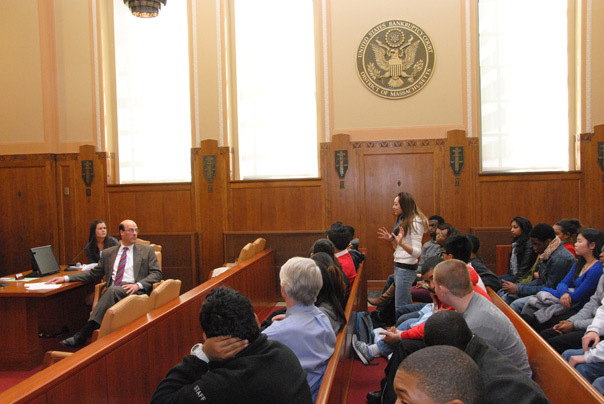 Volunteer for the 2013 Law Day in the Schools Program on May 1st, 2nd, or 3rd. 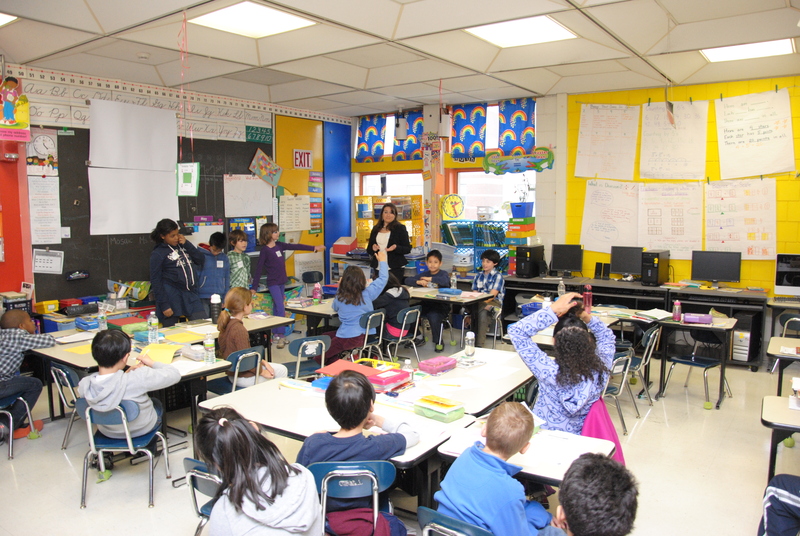 Lawyers can visit classrooms throughout city, teaching elementary, middle school and high school students about the 2013 ABA theme, “Realizing the Dream: Equality for All.” The BBA provides volunteers with all the written materials for the Program and you can volunteer in pairs. 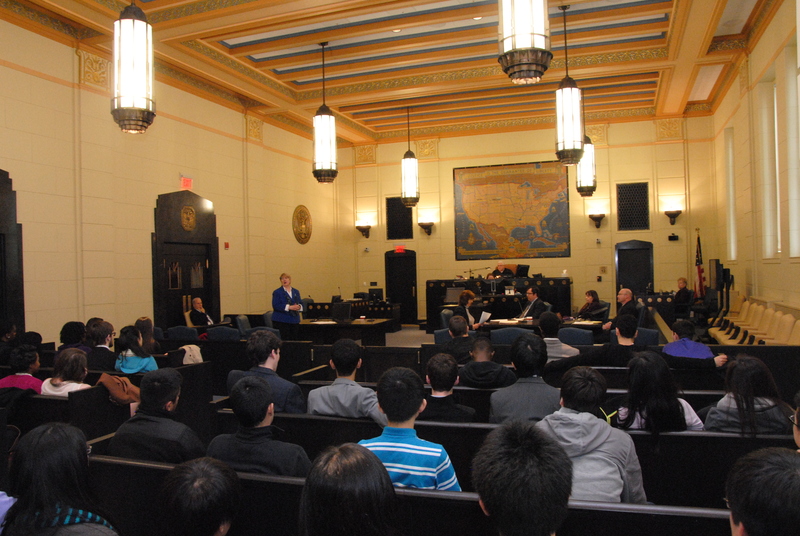 Volunteer Emily Hodge (Choate Hall & Stewart LLP) leads students through a mock trial at Josiah Quincy Elementary School during the 2012 Law Day in the Schools Program. A second grade student thanks a volunteer for teaching her about the constitution and helping create classroom rules. If you are interested in volunteering, please review the available volunteer sessions on our website here. To learn more about curriculum and how to effectively teach the meetings, attend the Law Day in the Schools training April 24th from 8:30-9:30 am. You can sign up for the training here. 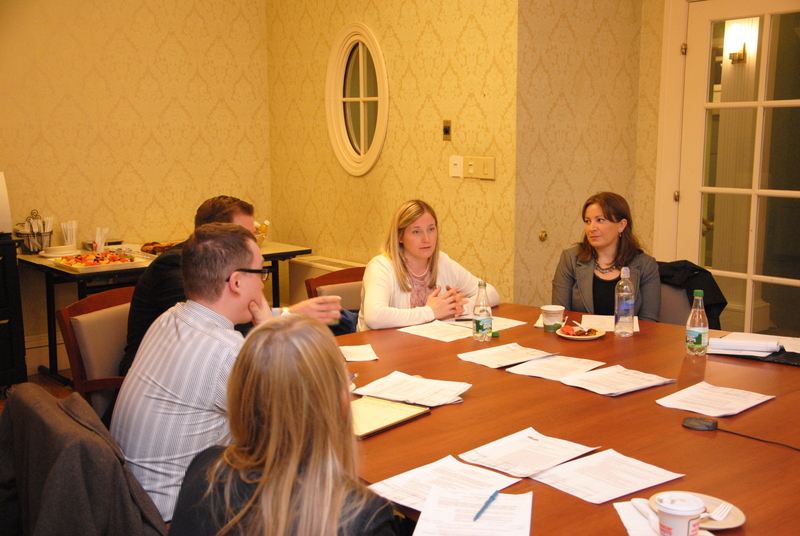 This program is funded by the Francis S. Moran Fund of the Boston Bar Foundation. Students from Another Course to College, Milton High School, and Peabody High School asked questions to learn about the difference between Chapter 7 and Chapter 13 bankruptcy. For more information about the M. Ellen Carpenter Financial Literacy Program, please contact Katie D’Angelo, Public Service Programs Coordinator, at [email protected]. For more information about the workshops or PILP, please contact Susan Helm, [email protected]g.
The M. Ellen Carpenter Financial Literacy Program is in the homestretch and volunteers have just completed the classroom sessions. So far this year, the program has reached more than 1,000 students in the Greater Boston area. 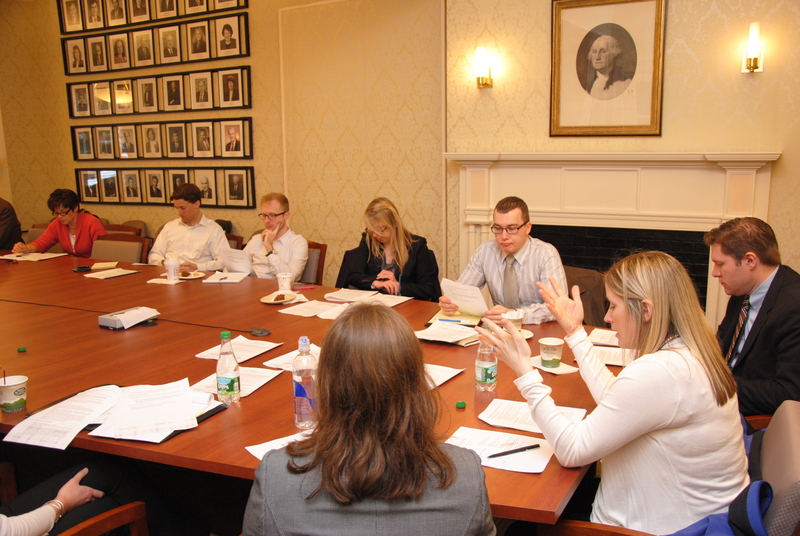 In the coming weeks, schools will gear up for trips to the Boston and Worcester Bankruptcy Courts for the “Consequences Module”— a mock hearing, presided over by a judge, where students will get a firsthand glimpse of the repercussions of poor financial decision making. Beyond the Billable stopped into a few schools to see the volunteers in action. 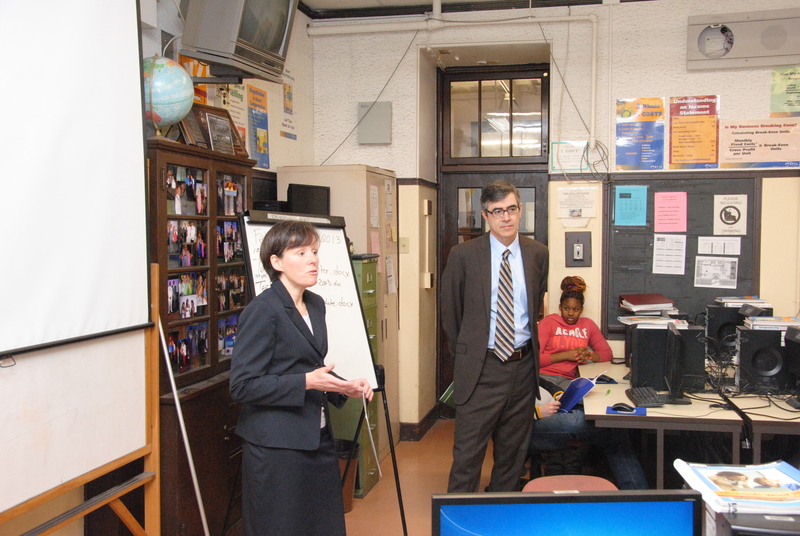 Students in Heidi DeRosa’s 12th grade class at East Boston answer questions during a lesson on credit cards. 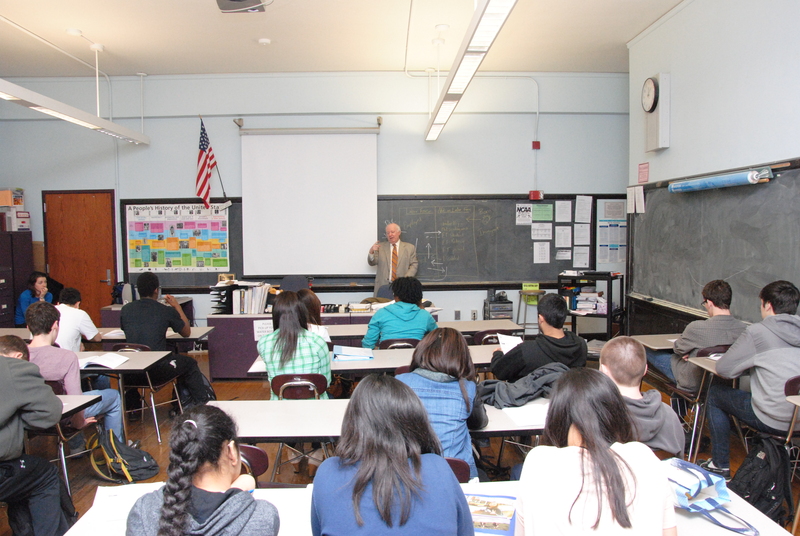 Ed Kearn’s 11th and 12th grade Economics Class at Boston Latin learn about the actual and hidden costs of buying a car. 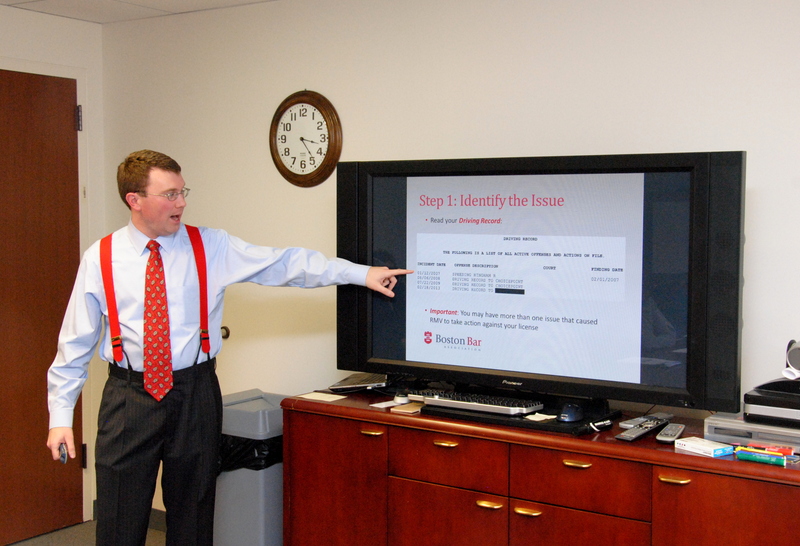 Rick Levine (Nelson Kinder + Mosseau PC) teaches the students the basics of financing a car. Please look for photos from the Consequences Module in the coming weeks. For more information on the M. Ellen Carpenter Financial Literacy Program, please contact Katie D’Angelo, Public Service Programs Coordinator, at [email protected]. This program is funded in part by the Boston Bar Foundation Charles P. Normandin Fund. 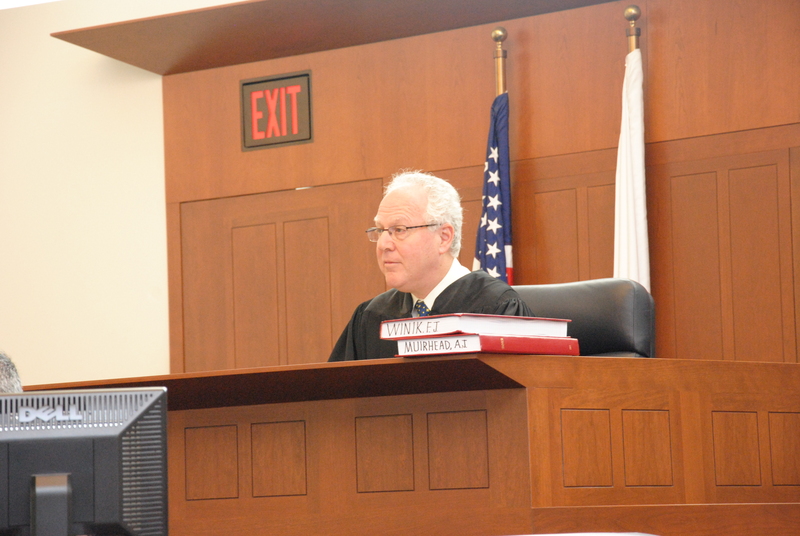 Judge Jeffrey Winik, first judge of the Boston Housing Court, is a true champion of justice. On May 13th BBA President J.D. 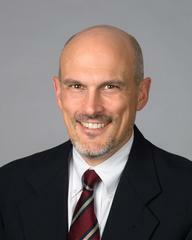 Smeallie will present Judge Winik with the Citation of Judicial Excellence at Law Day Dinner. 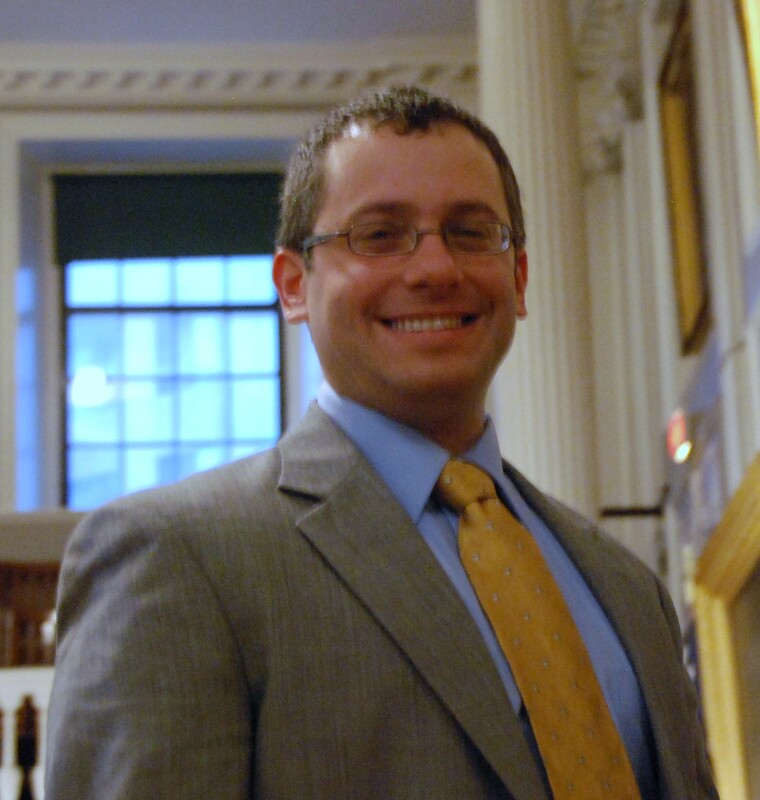 We at Beyond the Billable know Judge Winik for his dedication to the Lawyer for the Day in the Boston Housing Court program. My first court appearances as a new lawyer were in front of Judge Winik on pro bono matters, I was incredibly nervous, and I remember him being very patient as I stumbled through my arguments. While I certainly do not always prevail, I always get the sense that he appreciates that I am there trying to help someone who would otherwise be unrepresented. 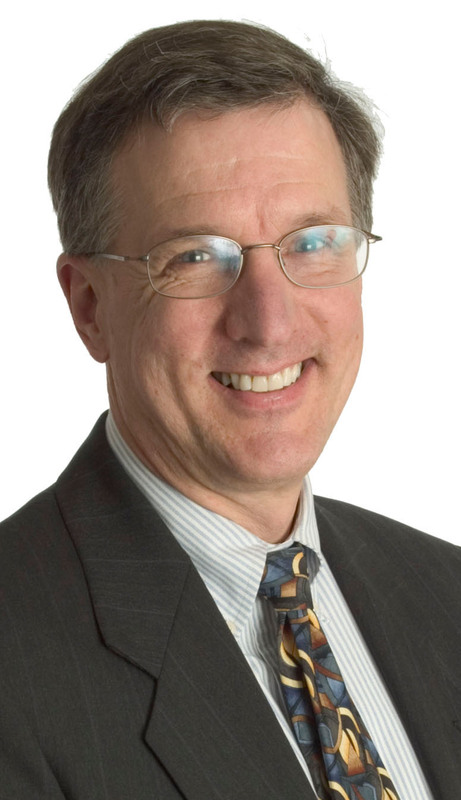 Judge Winik’s appreciation of the role volunteer attorneys’ play is clear in his willingness to speak regularly at BBA panels on housing law and to help new attorneys gain the confidence necessary to effectively represent low-income litigants at the Housing Court. ◊ Judge Winik has continued to help the Lawyer for a Day program increase available resources for pro se litigants, with the aim of achieving greater balance and fairness in judicial process even in a time of diminished resources. ◊ He has played a lead role in fostering the use of Limited Assistance Representation (LAR) in the Housing Court, in keeping with the SJC’s guidance. ◊ His example reminds all Lawyer for a Day program volunteers that JUSTICE is about PROCESS not about OUTCOMES. ◊ While being a staunch advocate for the program, Judge Winik has made clear that no ex parte communications of any kind relating to pending cases can be discussed in his presence; showing us all once again his commitment to fairness. When thinking of Judge Winik’s contributions to the program, Virgil’s quote “None but himself can be his parallel.” comes to mind. The Lawyer for a Day program, the Boston Bar Association and the citizens of the Commonwealth owe Judge Winik a large debt of gratitude. 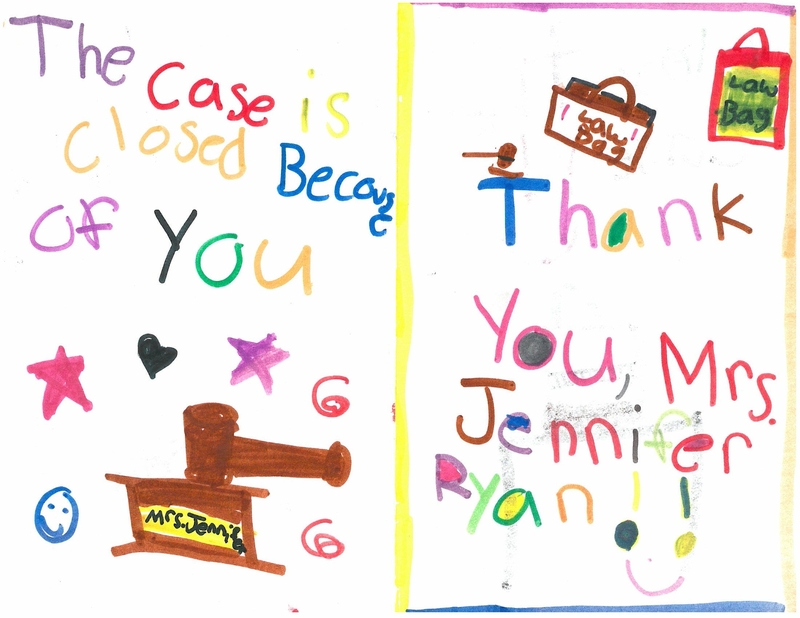 Judge Winik’s support for the Lawyer for the Day program has been unwavering, and its success is due in no small part to his efforts. 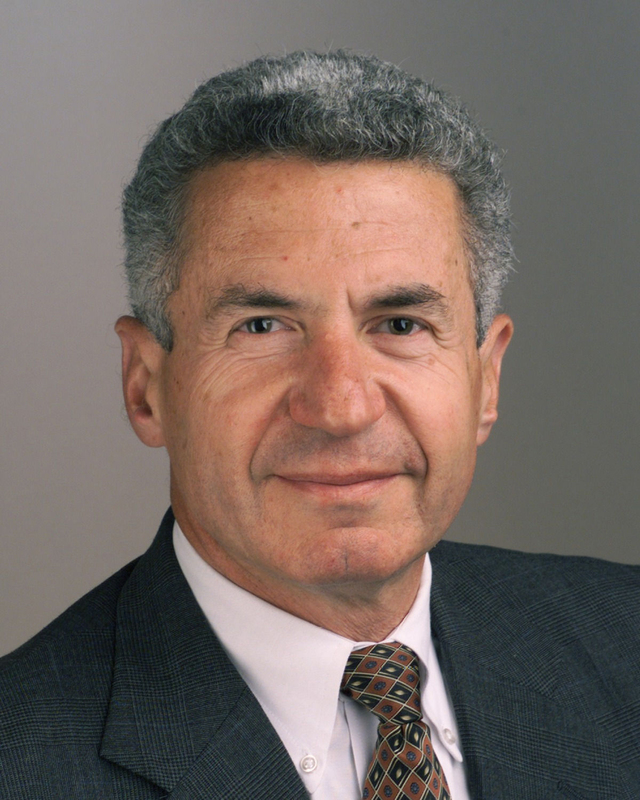 When we served together on the Real Estate Pro Bono committee, he was always the calming voice, with the usually sensible suggestion that would lead us out of whatever argument we might be having with each other. After I was appointed to the Land Court, I had the great pleasure of getting to know Judge Winik as a colleague. He is still the calm voice of reason, with the same thoughtful outlook on issues, but with just maybe a bit more leeway to crack jokes! He’s been a great help to me in my first year on the bench. I’m so glad the BBA is honoring him for all his work to support access to justice. 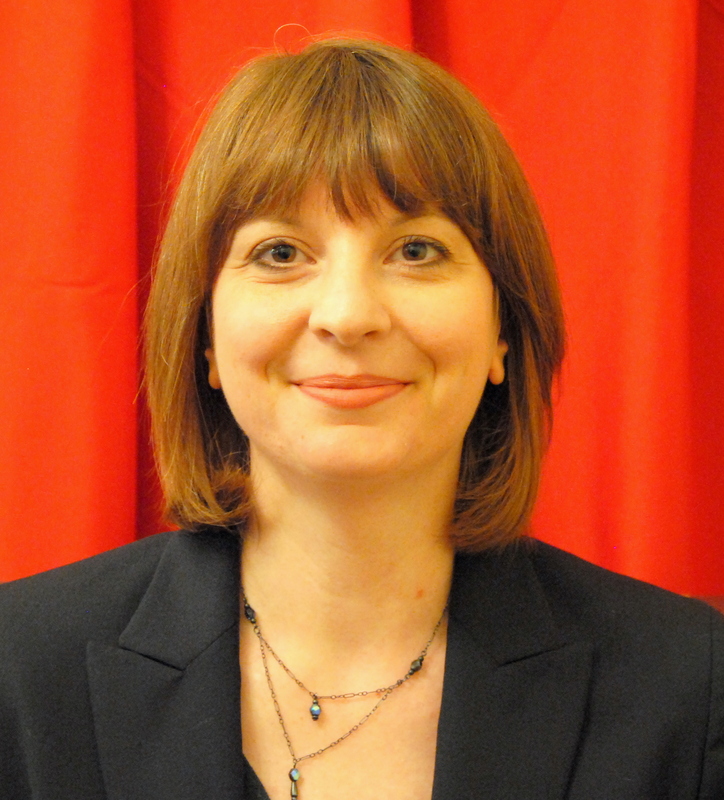 Joanna Allison, Volunteer Lawyers Project of the Boston Bar Association. I call Judge Winik’s courtroom the humiliation free zone. Knowing volunteers will not be “made to seem a fool” not only gives them comfort but also empowers litigants who will be appearing pro se. 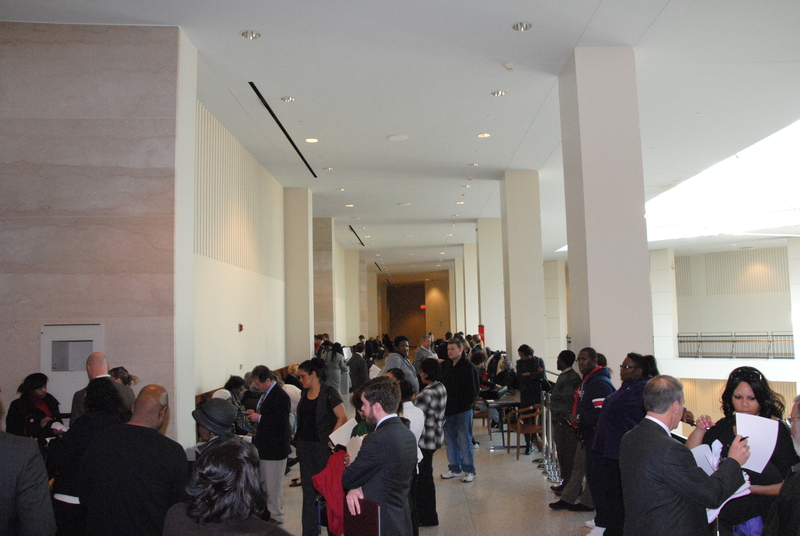 I suggest that new lawyers sit in on Judge Winik’s session to see what goes on there on Thursday eviction days. If Judge Winik notices that he has an audience, he will find them later or call them up to the bench and ask if they have any questions about what they have seen. This is no less than a thrill for the new attorneys, to be noticed and treated respectfully by a member of the judiciary. I have taken to comparing Judge Winik to Bruce Springsteen for his rock star status among the Lawyer for the Day volunteers. When asked about the comparison, most volunteers have said they would prefer to have Judge Winik come to the Lawyer for the Day table with his advice, gratitude and humility. After all, they opine, Bruce can only sing. Judge Winik is truly THE BOSS.